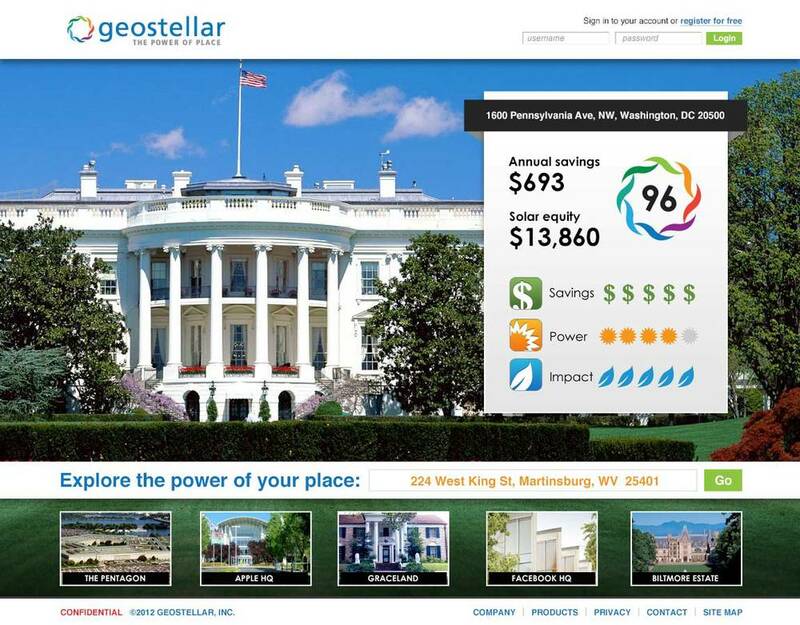 Geostellar is the first online marketplace for alternative energy. 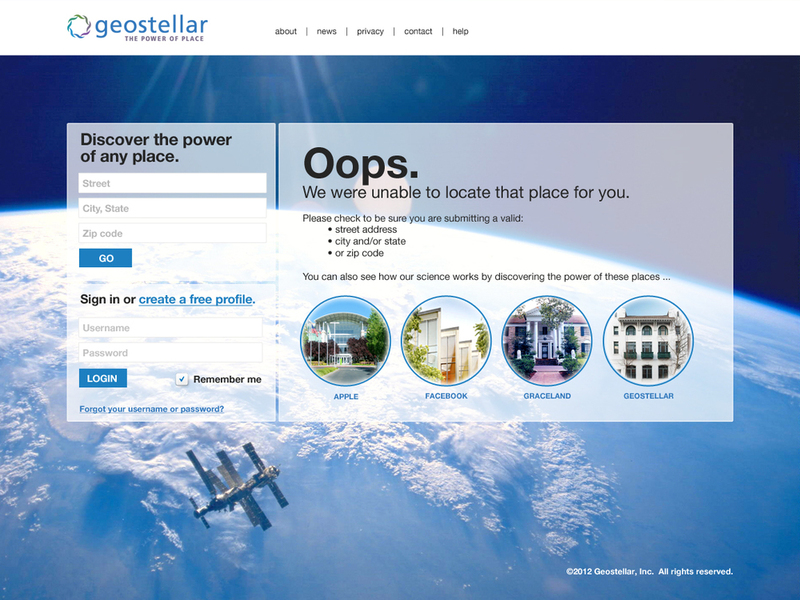 Built on its big data "geomatics" platform, Geostellar launched the web application after a $14M Series B round of financing led by NRG Energy in 2012. Geostellar has iterated on these early concepts, but much of the original UX groundwork remains. Click to view a larger images. 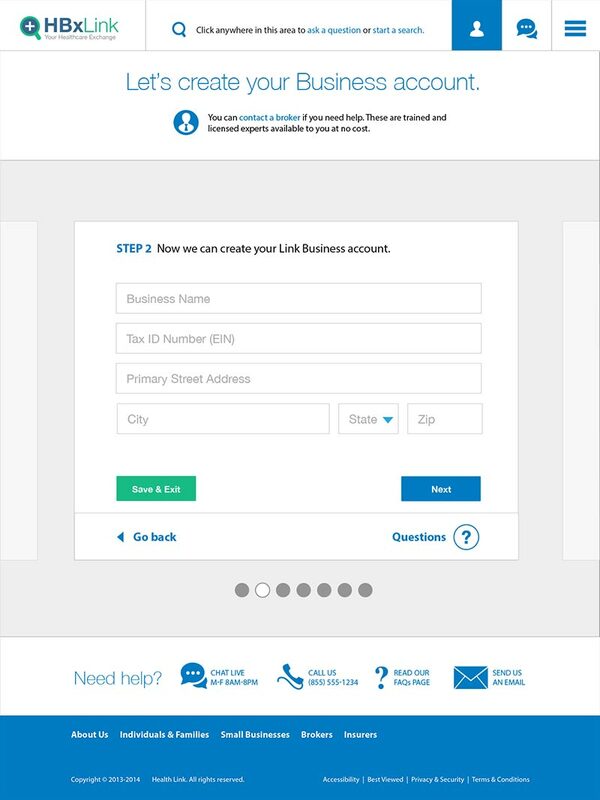 According to the Affordable Care Act, healthcare exchanges exist between the Federal and State governments as marketplaces for individuals and business. 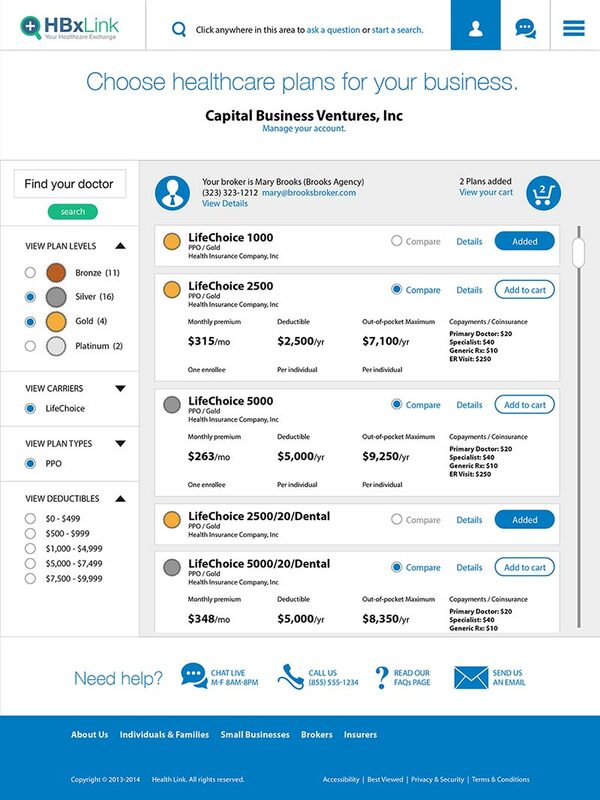 We are working with a few of those exchanges to research, design, and develop the future of online healthcare in America.